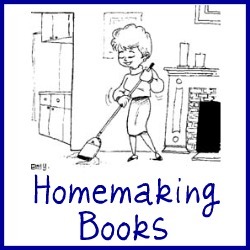 What homemaking book do you think is best? Read my recommendations and reviews and share your own here. Household management is not all about homemaking, but homemaking is an important component of what encompasses truly managing your home well. Therefore, I have devoted an entire category of my recommended reading lists for home managers series to this topic. My favorite, all time, best, read it dozens of times book about homemaking, and what started my passion for this whole subject and the inspiration for this website comes from one book given to me by my father for Christmas in 1999, before I even had my first child. It is Home Comforts: The Art and Science of Keeping House by Cheryl Mendelson. This book really struck a chord with me because the writer is a lawyer, a woman with a career outside the home, who talked about the arts of domesticity with such reverence and love I was intrigued. You see, I am a lawyer myself, although I am currently not practicing law. Ever since I started this website I have wanted to write a full book review on this book, and I cannot do it justice here and promise I will be writing a full review later. Suffice it to say that the book is not only quite informative and full of facts, but also a great and interesting read. I cannot recommend it enough. There are, of course, other homemaking book reviews and recommendations I have too, and I will get to those in time. In addition to my recommendations though I want to hear from you. Tell me what books about housekeeping and homemaking you have really enjoyed, found inspirational, informative, helpful, or all of the above. I am always on the hunt for some good ones to read so share them with me, please! 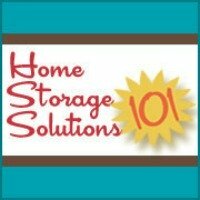 Have you read a book about homemaking, making a household notebook, or or any other topic similar and was really helpful or informative, and would recommend that others read it too?